HORSHAM, Pa. – AAMCO, the world’s largest chain of transmission specialists, celebrates 50 years by engaging consumers through two new advertising campaigns, direct marketing and an online sweepstakes with a Corvette as the grand prize. The total car care company also has partnered with a national non-profit organization in an endeavor to give back to the communities in which it operates during this milestone year. AAMCO’s two new television commercials use humor and vintage images of history to promote 50 years of total car care. The commercials, “We Hear You – 50th Anniversary” and “Trust,” are scheduled to begin airing in local AAMCO markets across the country on May 31, 2012. “We Hear You – 50th Anniversary” is the third iteration in the “We Hear You” campaign featuring AAMCO customers mimicking noises their cars are making at AAMCO centers. In honor of 50 years, it follows the same couple from 1963 through today, in time-appropriate ages, hairstyles and apparel as they visit AAMCO dealerships. The couple vocalizes noises hoping to obtain an expert diagnosis from the technicians. 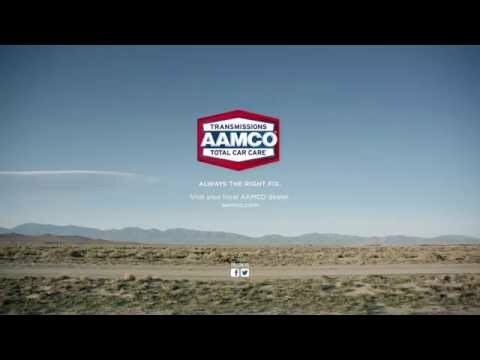 The “Trust” commercial is based on the idea that you can trust AAMCO to fix the most complicated part of your car – the transmission – so why wouldn’t you trust them to fix anything on your car? Conceptually, the spot pushes that simple question by demonstrating people you would never trust to do the job correctly, in an unexpected way. To bolster its online presence and community, AAMCO is launching a sweepstakes through Facebook. AAMCO will select one person at random to win the grand prize – his or her choice of a Classic ’63 Corvette or a brand new 2013 Corvette. To be eligible to win the car, participants must ‘Like’ AAMCO on its Facebook page (https://www.facebook.com/AAMCO) and fill out the Sweepstakes form online. In addition to the grand prize, there will be an “instant win” option of gift cards in the amounts of $25, $50, $100, or $500. To build referrals for sweepstakes entries and “Likes,” the Tell-a-Friend program incentivizes participants to tell their friends about the promotion using Facebook sharing tools. Participants will be rewarded with an additional sweepstakes entry for every friend they tell about the promotion who also registers. A major initiative of AAMCO’s 50th anniversary is the “50 Cars in 50 States” campaign. AAMCO has partnered with the Military Order of the Purple Heart to select a combat wounded veteran in each state to receive free auto repairs up to $7,000 retail value, at a local participating AAMCO location. 50 Cars in 50 States will launch this summer and will run through the end of the year until repairs are complete. Additionally, one deserving veteran and their family will receive a brand new car. AAMCO customers can continue to access the iGAAUGE Smartphone application to diagnose and troubleshoot car problems and locate their local AAMCO service center, but now they can also access their AAMCO Rewards Club features. The new app features allow customers to review the status of their Rewards Club account, including vehicle service history, loyalty points earned, points redeemed and the latest discounts on tire rotation, oil change and other auto care services. AAMCO is the world’s largest chain of transmission specialists and one of the leaders in complete car care services. AAMCO has over 800 automotive centers throughout the United States, Canada and Puerto Rico. Established in 1962, AAMCO centers are proud to have served more than 45 million drivers. For more information, visit AAMCO.com.